* What accounts for 15% of your body weight? * What type of cells do you lose up to 40,000 of an hour? * What is on average 21 square feet when opened out? Did you guess correct? The answer is SKIN! * Production of vitamin D.
Our skin is working all hours of the day to deliver the goods it needs to look, feel and operate at its best. This is why it is so important to treat our skin with the utmost love and respect it deserves. Cleansing, exfoliating and moisturising are the most crucial steps to take in order to maintain a healthy looking skin - and something we should be doing on a daily bases. Cleansing your face morning and evening is easy. Would you leave for work in the morning without brushing your teeth? No! The same rule applies to your face. Think of all the make up, pollution in the air and fragments that sit on our skin throughout the day - It is vital to wash off all impurities before bed and then again in the morning after the skin has been rejuvenating over night. Cleansers don't need to cost the earth, you could even make your own if you desire. Cleansing is the first step to a healthy looking skin. So your skin sheds around 30 -40,000 dead cells per hour ... Where do they go? Well 80% of typical household dust is dead skin cells!!! So what about the other 20%? It's probably left on your skin making your appearance look dull and sallow. By using a gentle exfoliator 2 -3 times a week will ensure the removal of dead skin cells, allowing your skin to look more radiant and hydrated. Again, please don't think you have to spend £££ on a professional exfoliator. If you can that's great, otherwise I am a big fan of making my own products at home. The ingredients for a simple home made exfoliator are: a teaspoon of unrefined sugar, a squeeze of lemon and a dash of extra virgin olive oil, mix it up and away you go! OK, so you drive to work with your heating on, you get to work and spend eight hours in an office with the central heating blasting - all you are doing (apart from keeping yourself rather warm) is stripping your skin of its natural oils. Deep within the second layer of our skin, the dermis, live glands called sebaceous glands. These glands produce a natural, protective and hydrating oil called sebum. The oilier your skin is the more sebum your sebaceous glands are producing. If you are constantly stripping your skin of its natural oils through one way or another it will just keep producing more oil thus Oily skin. Producing these natural oils are essential for a healthy and hydrated looking skin, however sometimes our skin needs a little help locking in these natural oils (or producing more if you have dry skin). So, how can we help ? We moisturise .... Twice a day! Once in the morning and again before bed. By moisturising twice a day you will ensure a soft, supple skin which will instantly make your skin look nourished and radiant. After all if you are making 40,000 skin cells an hour, you need to keep them in tip top condition. 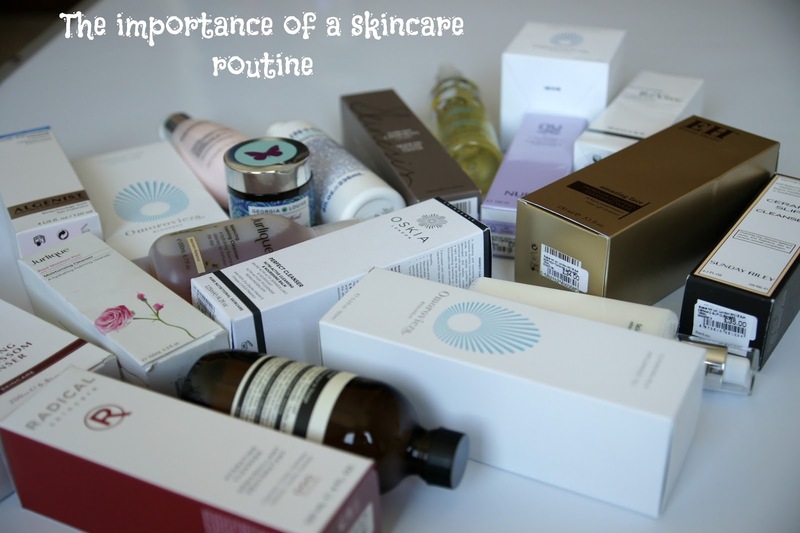 So I ask you - Will you adopting a new skincare routine?